The title of this story says it all. If you’re a first-time homebuyer, please click the tab above that says Tips & Advice, and follow the drop down menu to where you will find useful information. This one is for the homebuyers out there who have the means to drop a couple million dollars on a new condo that they may only use on weekends. In all seriousness, we do spend a lot of time catering to first-time homebuyers because those are the buyers on which the housing market depends and they're currently the ones having the most difficult time entering the market. That said, the high-end purchasers of the GTA (and the world) need some attention, too, so let’s take a look at four Tridel buildings where you could easily spend over $2 million on a new condo unit! 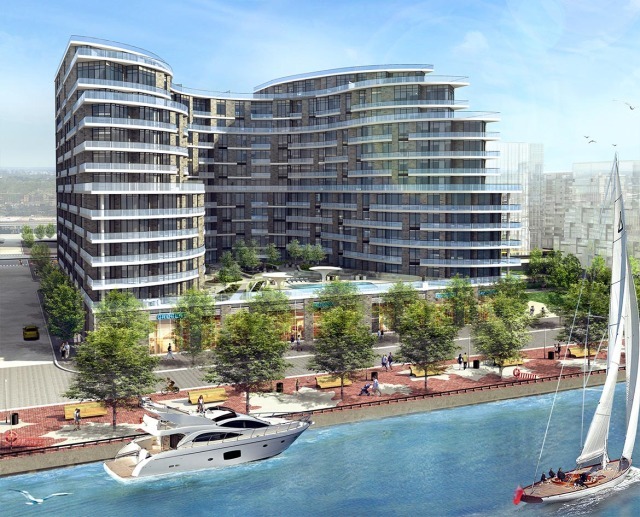 This condo is the second residential phase of Tridel and Hines’ master-plan, Bayside Toronto. This is about as close to Lake Ontario as it gets in the east end, and the building is specially designed to provide incredible views. On the Penthouse levels, all of the suites are over 2,500 square feet and you won’t be spending any less than $2.5 million. There are actually two penthouses at Aquavista that are over 3,400 square feet, but they have sold! The price tag may be high, but it would be worth it! The kind of person that will settle down in a penthouse at Aquavista is the kind of person who would actually live there for years, enjoying the waterfront lifestyle and all that the new community has to offer. This condo is for the purchaser who wants a luxury condo lifestyle without the hustle and bustle of a downtown location. 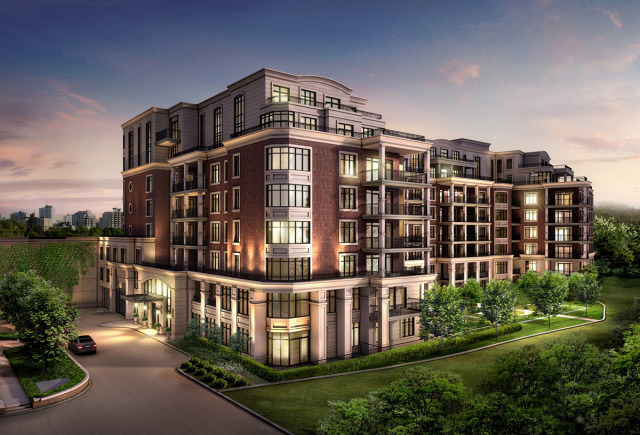 Located in the Lawrence Park area, Blythwood at Huntington is within a close proximity to all the amenities of Bayview Village and The Shops at Don Mills. There is one penthouse suite that is still available at Blythwood, and it’s a beauty. 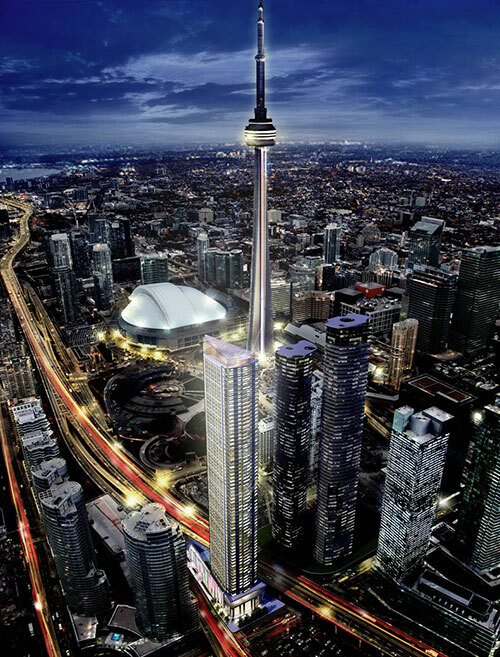 PH17 is a 4,180 square foot suite starting at $3,950,000. The suite has three bedrooms, 3.5 bathrooms, and a NESW exposure. That’s right, it’s a condo unit that faces every direction. Of course, the second residence of the Huntington development also offers its own selection of premium suites. Sherwood has two suites priced over $2 million, the GPH20T and the 2V+D. The GPH20T is a 2,541 square foot suite priced at $2.6 million, and the 2V+D is a 3,421 square foot suite priced at $2,875,000. 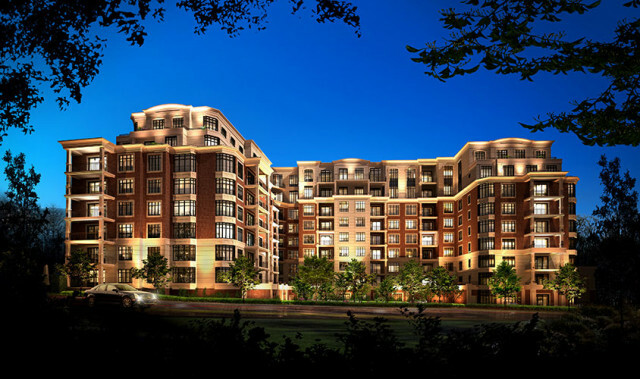 Sherwood offers the same signature finishes as Blythwood and together they are two of the most luxurious condos in Toronto. Unlike the Huntington residences, Ten York appeals to the purchaser who wants to be in the centre of it all, and not just the centre but on top of it all as well. Standing 735 feet at York and Harbour Street, Ten York is bringing a new standard of luxury to one of Toronto’s most densely packed neighbourhoods. 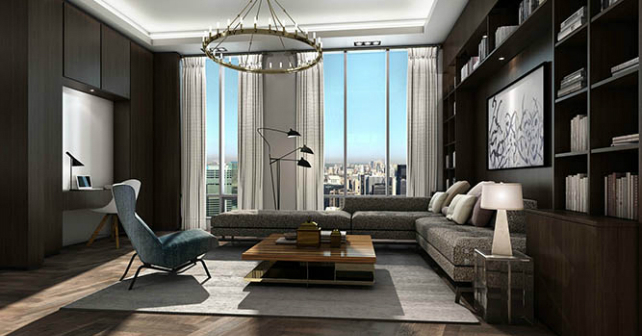 The Signature Collection at Ten York has four suites priced over $2 million, ranging from 2,308 to 3,858 square feet. The largest suite is priced at $4,265,000! With condo developments ranging from neighbourhood revitalizations to luxury residences, Tridel is one of the most prolific and versatile developers in Canada. In communities such as Alexandra Park and even Bayside Toronto, Tridel is going the extra mile to build affordable housing in the city because they understand that in order for a city to grow healthily, everyone needs a fair shot at homeownership.